I have read the first two translated books in this series and enjoyed them immensely. This one did not disappoint me. 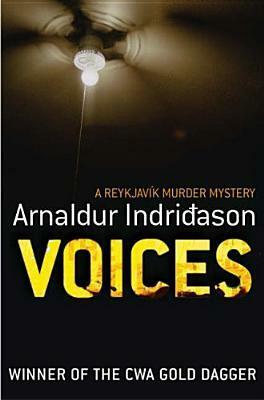 Again the protagonist Erlendur is called to investigate a murder of “Santa” at a tourist hotel. Santa was the hotel’s doorman dressed up for a Christmas party for the hotel guests. Due to his feelings about the Christmas season, the situation with his recovering drug addict daughter, and the murder, Erlendur checks himself into the hotel for the investigation. The investigation leads into the world of rabid collectors, the kind that will go to any length to get the perfect next piece for their collection. It also winds its way through the world of choir boy singers and child stardom. It is a fascinating mix, especially delving into how an ex-child star ends up as the character in the book does. The story comes across as dark and intense without the intensely graphic violence prevalent in some thrillers/mysteries. The setting of the book, including the Christmas holiday season, enhances the melancholy feeling of the book, which has been building through this series. I would suggest that you read the first two translated books in this series before this one, if only to get more of an understanding for the characters and their motivations. There is enough retelling of pertinent details that you could get away with reading this as a one off, but I think it would flow better after reading the others. Nordic Noir fans will find a lot to like in this dark, moody mystery. I will certainly read more in the series.